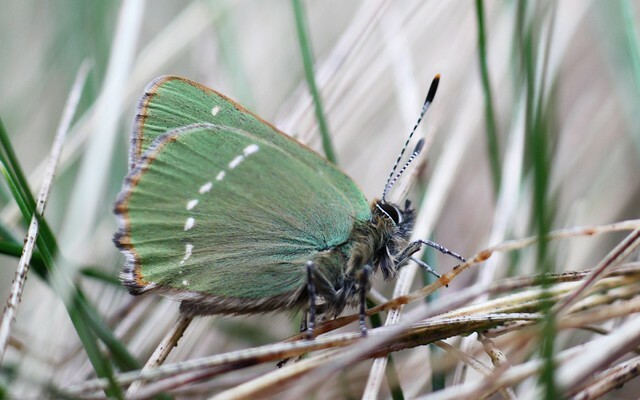 Today I joined 5 other people up on Baildon Moor to look for the Green Hair Streak butterfly. The search was organised by Bradford Urban Wildlife group in conjunction with Friends of Baildon Moor as part of the Save Our Butterflies Week. It was conducted by Susan Stead. It was quite cold and wet after heavy rain earlier in the day so we didn’t really expect to see any. One reason for going was to see where I could expect to find them when the conditions were better. However we had not been looking for long when we found one. 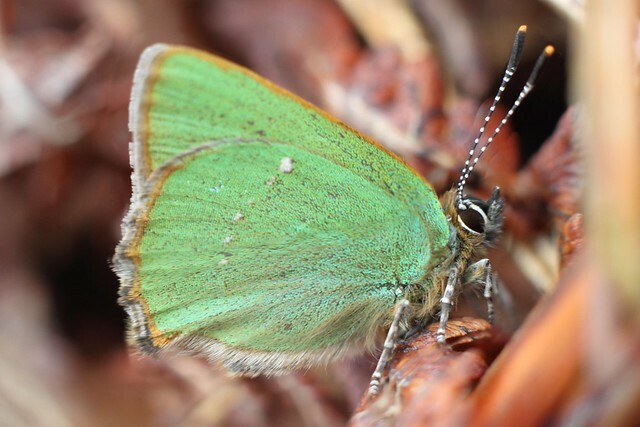 According to Susan they can be found sheltering in the extraction pits on the Moor near Bilberry. And she was right. 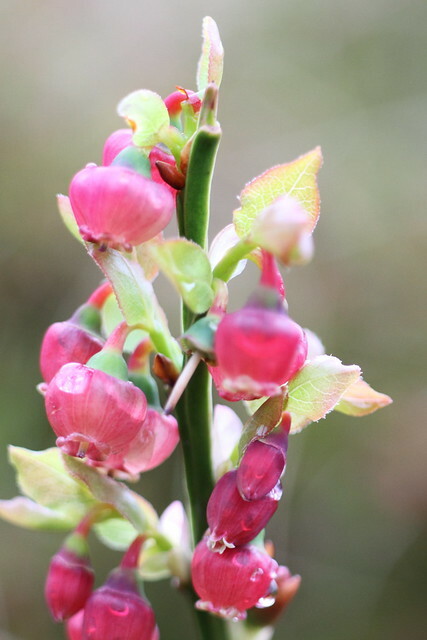 Even though the Bilberry is not as “far on” as you would expect for this time of year. Peter Hughes found the next one in amongst the grass in the shelter of another extraction pit. Note that this is a copy from my Marfell blog.